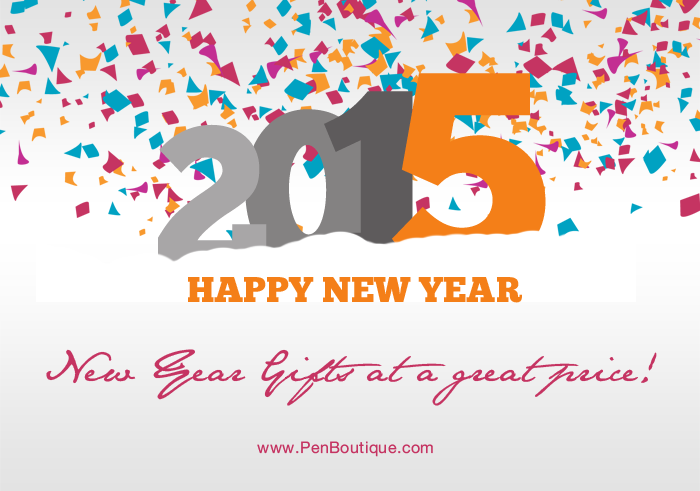 Home » Anniversary » dc pen show » FB Contest » GiveAway » New Year » pen boutique » Pen Contest » A Brand New Year!! So, I just relived the year 2014 again on the internet in less than an hour and let’s just say that it was profound. I cannot believe so many major things happened around the world in a span of 365 days and so many of it has already been forgotten. From natural disasters that claimed thousands of lives to school attacks that wrenched every heart throughout the globe and signs of the world going stupid to proofs of brilliant minds and beautiful souls, 2014 was surreal. But like Brad Paisley said, the beginning of each year is the first blank page of 365 page book. It is a whole new day, a clean slate to start with. It is a New Year. And like everyone preparing their resolution for the year ahead, Pen Boutique is keeping its best foot forward too. Last year for us was very eventful. We participated in DC pen show, gave away so many prizes to our adored customers and gave everyone a reason to take up a pen. We also celebrated out 10th year anniversary last year; coming year will be our 11th. The pen world itself was abuzz with so many wonderful moments. We saw DC comics heroes and villains revive through Montegrappa pens. The pen that spots mistakes was a breakthrough and the one that creates edible art was delicious. With the New Year inching in, here is hoping that the days ahead will bring forth new inventions, new discoveries and new milestones in the world of writing instruments. We hope that the torch of literature shall be ever aflame so brightly. And we are oh-so-sure that there will be more events held at Pen Boutique, even more contests and many more prizes to give away. Stay tuned with us the year ahead. Wishing you all a very happy and prosperous New Year 2015!!! !